I’ve been running up and down part of the M40 for about 3 months now, going to and from work, and the attitude of some drivers has me amazed! Tailgaters, for example, are a flipping nightmare! And still they flash their lights at me.. WTF!!!! On the occasions it has happened I’ve pulled over as soon as it’s SAFE for me to do so, NOT when they want me to. I’m not going to argue with a car six inches off my rear tyre as I know who would be the loser in the event of an accident. But….. I just don’t get it! It’s not like these drivers get much further ahead, normally just a couple of car lengths until they come up against the next car and then they are caught up in the traffic again! 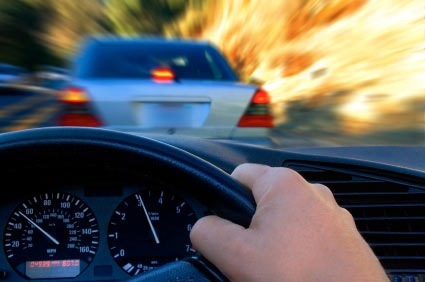 Obviously people who drive like this have completely forgotten about stopping distances and how their lives are at greater risk if something happens and they can’t stop in time to avoid a collision. I’ve even seen cars tailgating lorries in the pouring rain, and seen how the spray kicked up by the lorries wheels makes visibility almost zero in the car! It just makes me wonder what, if anything, is going on in these peoples heads! As a whole, motorcyclists enjoy a few hours at the weekend working on our bikes out in the garage or garden, but now ITS TOO BLINKIN COLD!!! His nibs is working on a streetfighter and I’m supposed to be rebuilding a 28 year old Kawasaki Z650 and short of bringing them into the house (yes we have done that before!) its way too cold out there to even think about working in an unheated garage!! I hate winter and I definately hate being cold!! ROLL ON THE WARMER WEATHER!! Having had the first decent nights sleep in weeks, undisturbed by the incessant wailing of car alarms triggered by the heavy thud of a falling leaf. A sleep punctuated only by pleasant dreams, about killing evil scar-faced men with foreign accents, then servicing beautiful women, whose scanty clothes fall off at the merest hint of a corny one-liner. Dreams probably brought on by a late night of viewing Bond. I woke into that bemused semi-conscious state that only hung-over students can really enjoy, happy in the knowledge that a hard days studenting lay ahead and would start at the crack of midday with a well earned skive at their local pub. As I lay there, I blinked the sleep from my eyes and let the world resolve into focus. As it did I was startled to find a knobbly swirl of peanut butter lazing on the pillow next to me?!? Rigidly I lay staring into its nutty eyes and puzzled over this conundrum??? Maybe the Other Half had put it there in case she woke with a ravenous hunger I pondered. Then realising her nut allergy made this highly unlikely, I continued to hold its squidgy stare as it sat quietly smoking. It’s a dream I decided. One of those bizarre ones brought on by late night consumption of cheese?! Any minute now it would wave and tell me something ominous. “You are going to die a horrible painful death when a stack of Sun-Pats finest collapses on you later” it totally failed to say. Now puzzled by my newfound creamy companions lack of conversation, a surreal twist in a surreal dream, I prepared to poke it in the time-honoured tradition of the curious. Index finger, licked, poised millimetres from the steaming sandwich filling. The ‘I am awake’ neurons of my brain fired and in turn woke other sleeping groups of grey matter. For as my finger edged forward, their warning cries could be heard. The day went down hill from there….. BU**ER! The cat now has a cork, still in its bottle, nailed up its @rse & her fate is dependent on the outcome of talks with the local Chinese restaurant! My finger still smells even after scrubbing with bleach. The whereabouts of the turd is unknown. You have been warned! You are currently browsing the archives for the I Hate… category.